For a childcare provision to function well, it is vital its finances are appropriately planned and managed. A structured financial system helps day-to-day activities to run more smoothly, and accurate accounting records can support the planning process. 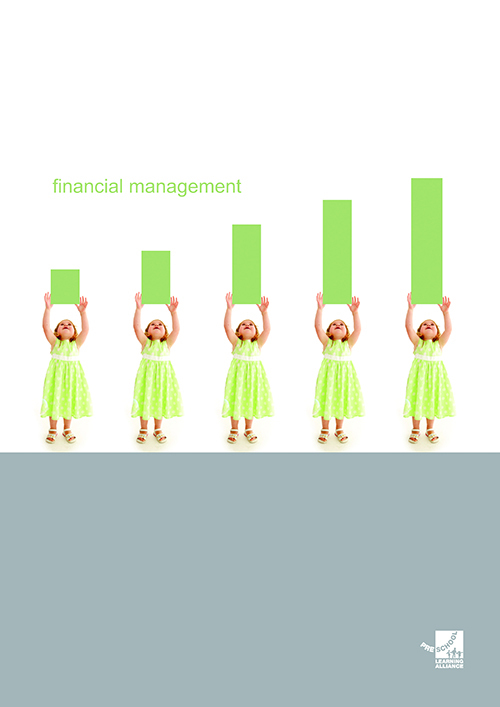 In short, sound financial management helps keep your provision more sustainable. There are a number of costs involved in running an early years provision — from bills and utilities to staff payroll and equipment. You must be confident when budgeting that the income you receive from fees and government funding will be enough to cover all your outgoings, and allow you to provide a high quality service to families. A business plan will help you outline your expected activities for the year ahead, and can be used to plan for the future operation and development of your services. This is also a useful tool when applying for funding, as it explains to potential funders how their money will benefit the provision. Alliance publication Financial Management will guide you in managing your finances on an ongoing basis, and contains a model business plan for early years providers. You may also find our Accounts Record useful for recording your annual finances. What government funding is available for early years education? Co-ordinated by local authorities, early years education funding provides childcare places for all three and four-year-olds, and some two-year-olds. Two-year-olds will qualify if they or their families receive certain benefits or they are looked after by their local authority. Providers can register with their local authority to claim the funding, which entitles eligible children to a funded place consisting of 570 hours a year, over a minimum of 38 weeks a year. In most settings, the places are offered as 15 hours a week during the school term, either as three hours of childcare over five days, or five hours over three days. For parents earning at least the equivalent of 16 hours per week at the national living wage, and earning less than £100,000 per year, places for three- and four-year-olds extend to 1140 hours a year usually offered as 30 hours a week. The 30 hours funding is also eligible for families who do not meet the minimum earning criteria if they are both employed but one or both of the parents are temporarily away from the workplace on parental, maternity or paternity, adoption leave, or on statutory sick pay. Additionally, families can claim the funding even if they do not meet the criteria, when one parent is employed but the other either has substantial caring responsibilities, or is disabled or incapacitated and specific disability or caring benefits are being claimed. Parents cannot be charged for the funded sessions, however the cost of any additional sessions, plus consumable items such as drinks, meals and nappies, can be covered by parents. See our Delivering the 30 hours article for further details. Further details can be found here. The Early Years Pupil Premium (EYPP) provides additional funding for disadvantaged three- and four-year-olds. Early years providers can claim an extra 53p per hour for three- and four-year-olds whose families are in receipt of eligible benefits, or who are in local authority care. A model form and letter to help providers identify which children are eligible for the Early Years Pupil Premium can be found here. An article in Under 5 magazine explained where to start with EYPP funding. Online training on the Effective Use of the Early Years Pupil Premium is available free to Alliance members through EduCare. Further information on government funding is available here, or by contacting your local authority, who will also advise you about other public grants and funds that you may be able to access. The Tax-Free Childcare Scheme aims to make childcare more affordable for working parents. Parents set up an online account to pay for childcare with a registered provider, and the government will contribute £2 for every £8 parents spend. The scheme gives eligible families a maximum of £2,000 per child per year, or £4,000 for children with disabilities. Parents are eligible if they both earn an average of at least £120 a week, equal to 16 hours at the National Minimum or Living Wage but not more than £100,000 per year. They may also be eligible if one of the parents is away from the workplace on maternity, paternity or adoption leave, or is unable to work because they are disabled or have caring responsibilities. Parents can use this scheme with the 15 or 30 hours funded childcare funding. Early years providers need to be registered with Ofsted or another regulator and sign up to the scheme with HMRC in order to receive payments from parents. They will receive a user ID by letter and will also need to supply their bank account details, Unique Taxpayer Reference number and postcode or National Insurance number. Charitable settings which are not registered companies do not have a Unique Tax Reference number and should contact the HMRC childcare service helpline on 0300 123 4097 for more information on how to sign up. Claire Marlborough, Treasurer WSM Pre-school.